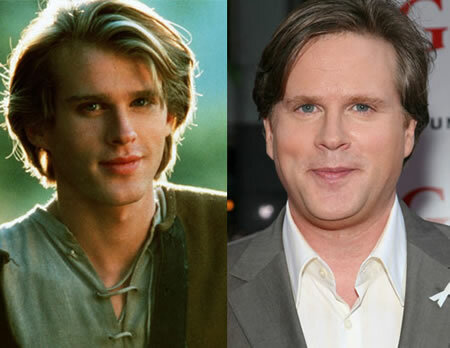 The latest cast members to join the NBC television reboot of Wonder Woman by producer David E. Kelley are Cary Elwes and Elizabeth Hurley. Elizabeth Hurley, the British bombshell best known for the Austin Powers movies, will play Veronica Cale. Cale is the main villain of the pilot. As head of Cale-Anderson Pharmaceuticals, a company producing a drug that makes people stronger, she jealously vows to take down the Amazonian superhero. Cary Elwes, the British actor most famous for playing Wesley in the cult film The Princess Bride will play Henry Detmer, the acting CEO of Themyscira Industries. Diana Prince (Wonder Woman) owns the company. His iconic declaration of love, "As you wish," has been quoted by geeks since the 1980s. It looks like the show will be a major change from the comic book. Diana Prince never ran a company in the comics. Wonder Woman is a Amazonian superheroine from the 1940s. She has super-strength, flight, bullet-proof bracelets, a lasso that makes people tell the truth and an invisible plane. So, if you have fond memories of the character, what do you think of the casting so far? Does it excite you or repulse you?